'On a professional basis I've been involved with the conservation and mitigation of reptiles and amphibians for 23 years, even longer as a naturalist. Initially, mitigation was a case of last minute rescues, minimal budgets and environmental considerations that were very much on the back burner in any planning. Over time legislation became stronger, mitigation more thorough, and ecologists more professional. There was the need to make sure that survey work and mitigation was appropriate with relevant guidelines. However, in my view, and many others, with the current method statement approach surveys and mitigation are becoming even more rigid and risk adverse. It is no longer a question of mitigation guidelines but a rigid dogma, more like rules, restricting any flexibility for the experienced herpetologist. I used to be proud of my skills and I enjoyed the challenges and strived to get the best outcome, what we call best practice today. I felt I was making a difference for the conservation of reptiles and amphibians whilst changing attitudes for the better. But with the current system such a flexible approach seems to be penalised with more paperwork, considerable delays, and even the rejection of licence applications. Furthermore, there times when site mitigation is complicated and cannot be resolved in a method statement or by correspondence, times when a site meeting should be considered. After all, as an ecologist and ARG member, I would consider a site visit where issues were complicated before coming to a decision. However, it seems that site meetings in regard to issues with licence applications are not an option. 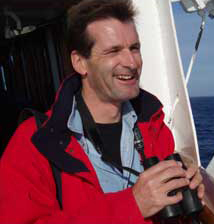 Kevin is a naturalist with considerable experience from Antarctica to the Amazon, and from whale-watching to swimming with dolphins. He is also an ecological consultant, specialising in birds, reptiles and amphibians. He is a well respected speaker and organiser of ecologically sound tourist expeditions. The Herpetofauna Workers' Meeting (#HWM2013) has been established for over 25 years, this unique and popular event occupies the centre stage of the herpetological calendar attracting a broad range of participants from across the UK including:volunteers, professional ecologists, statutory nature conservationists, students & academics. Turbulent times for tartan natterjacks? A special Burns Night Gala Dinner with a raffle to support the ARG UK 100% Grant Fund with the return of the Herpetological Quiz Have I got Newts for You (#HIGNewtsFY). The meeting programme is being finalised and the booking details are being revised details to be released again soon.